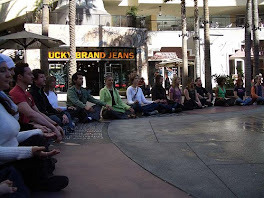 The LOHASIAN: FEATURE - Greener Days With Sara Gordon "Infinite Impact and the Consumer Effect"
"Infinite Impact and the Consumer Effect"
It is not a philosophical abstraction to say that every action we take affects the whole planet. The ‘butterfly effect’ that occurs with each choice we make is real; each powerful, far-reaching moment of decision occurs in an infinite sequence of before and after. You switch from the extremely (perhaps overly) effective cleaning product your mother always used, that perhaps contains chlorine or ammonia and whose label includes dire warnings of its dangerous, poisonous nature. You likely continued to use this product by default, until one day something prompted you to consider an alternative. You switch to an earth-friendly cleanser, derived from benign botanical ingredients, and produced by a company that manufactures only products with minimal ecological impact. You now use that product exclusively. What is the impact of making that switch? More aptly, what are the countless impacts? 1. You remove a toxic substance from your home environment, so no longer, in your house, can that toxin enter your body or the bodies of those living with you. 2. You remove that toxin from your home’s waste-water stream, so no longer are you introducing that toxic element into the outside environment. The reach of your waste-water is a fascinating mystery, with myriad destinations and potentially limitless range unique to your circumstance; allow yourself to imagine all the places to which your waste-water stream will no longer carry that toxin. 3. You eliminate your role in, and responsibility for, the life-cycle impact of the toxic cleaning product. 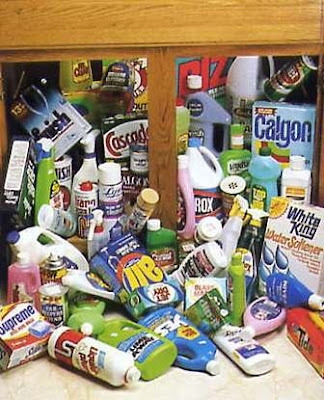 You are no longer subsidizing manufacturing of many traditional household products and as a result, the toxic chemicals used in those products. The realities of the business of making those products is a “dirty one” in the most literal sense, in that it is dangerous to the manufacturers’ own employees, to end-users and to the environment. The other harsh reality is that in most cases, that same corporation that owns this manufacturer also subsidizes other kinds of unhealthy production which also exploit the environment and its workers who have no control over the exposure to the toxins they’re producing. Instead, you have chosen to spend your dollars on a product that is part of the solution. You simultaneously reward and encourage the green producer and send a message to the purveyors and distributors of toxins that their products are no longer welcome in your world. You have cleaned up your home environment, ceased to be a cog in the machine that produced the toxic substance, promoted the success of the producer of the safer alternative, and voted for a safer world. With just one purchase. The same infinite impact holds with every choice we make, whether that’s unbleached paper goods with post-consumer content, organic cotton clothing, fair trade shade-grown coffee, local seasonal produce…on and on it goes. Take the moment to consider where the products you spend your money on come from, who brought them to you, and what you’re saying by purchasing them. Nowadays, we can be grateful that the alternative market is thriving to the extent that we nearly always have access to a safer, saner option. You have infinite power to bring about positive change. You can make a difference.